Female boxers and mixed martial art fighters have been around for decades and the female fighting both in Boxing and MMA has been on the rise in last couple of decades. undefeated woman world champion in UFC Ronda Rousey has been headlining UFC cards and she has build quite reputation while in the past we have seen Lucia Rijker who is widely considered as the greatest female boxer of all times. 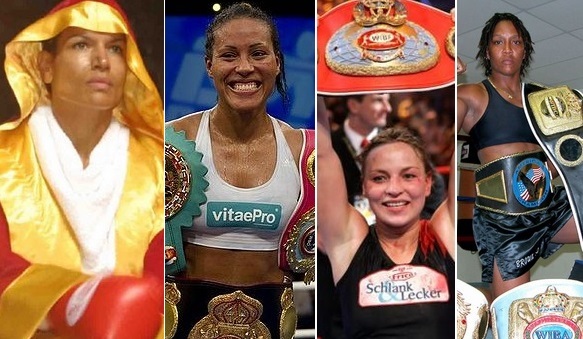 We take a look at some of the best female fighters in history. Dutch born Lucia Rijker was a professional boxer and kick boxer and she is regarded as the best female boxer in history by many boxing experts. She fought 19 times professional in boxing and won all of her fights and 14 wins came as a result of knockouts. In her prime the boxing media labeled her as ” the most dangerous women in the world”. Her last boxing fight was in her native netherlands against Deborah Fettkether in 2004 which she won and went on to retire undefeated. The current WBA, WBC, IBF, and WBO walterweight women champion Cecilia Braekhus will go down as one of the greatest boxers of all times. 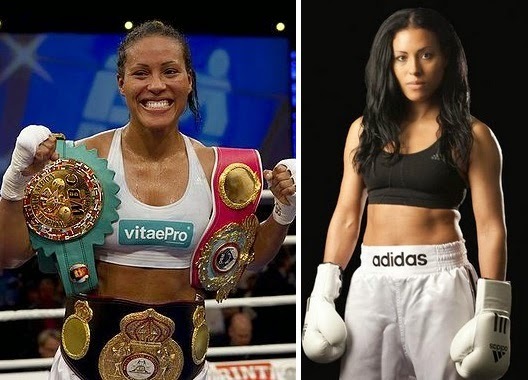 Brought up in Norway Braekhus started fighting as a semi-professional kickboxer and went on to become a professional boxer where she is still undefeated and became first women in history to hold all four major titles (WBA, WBC,IBF,WBO women walterweight) at the same time to become undisputed walterweight champion. She is undefeated after her 27 professional fights winning all of them and currently on a streak of 15 title defense fights for her main (WBA, WBC and WBO titles). She defeat one of the greatest boxers in Mia St John in 2013. Halmich was born in Germany and she played a big role in making boxing a major sport for women in Europe. She is widely considered as one of the finest and most successfull female boxers of all times with only one defeat in her 13 year professional career where she fought 56 times winning 54 fights losing 1 and 1 draw. Like many other great female boxers she started her fighting career in kickboxing but went on to make her name in professional boxing. Ann Wolfe was professional american female boxer who at one time in her career hold world titles in four different weight classes and was widely regarded as the Tyson of women boxing hue to her hard punching abilities. Ann Wolf fought 26 times winning 24 fights and she knocked out 16 of her opponents. 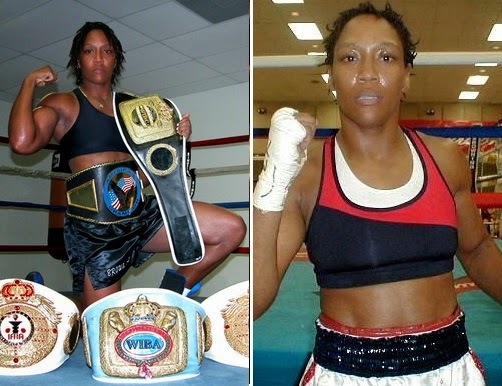 she defeated Vonda Ward with a devastating knocking which is considered as one of the greatest “one punch knockout in history of women boxing” She retired in 2006 when she defeated Lisa Ested. But she is still very active in boxing circle as a trainer and coach to some top notch female and male boxers. Daughter of the “greatest boxer of all times” Muhammad Ali, Laila Ali was the first women to headline a boxing PPV event when she fought Joe Frazier daughter Jacqui Frazier-Lyde. Talent wise she could have achieved much more but she avoided some of the top notch opponents throughout her career and critised for being a cherry-picker but her undefeated resume still get her into the top 5 fighters of all times.She retired as a WBC World female super middleweight champion in 2007 after beating Gwendolyn O’Neil. Currently she is working with ESPN as boxing analyst. One of the most exciting female boxer of all times, Christy Martin has a career record of 57-49-7 where 31 of her 49 wins came as a result of knockouts. Her biggest breakthrough came on the Tyson-Bruno undercard in 1996 when she fought against Deirdre Gogarty where she got up after a knockdown to win one of the finest fights resulted in immediate star status. Her two fights against Mia St John were two of the best female boxing matches on all times where she won the first fight but lost the rematch. Mia St John was taekwondo champion in her college days and turned to professional boxing at the age of 29 in 1997 and fought on the undercards of Oscar De La Hoya. She had a pretty decent record in 4 round boxing fights and made her name on national television fight on the undercards of current male champions. Her first fight against Christy Martin was dubbed as mis-match due to Mia St John jumping two weight classes to fight Martin but it went the distance and she held her own throughout the fight albeit a defeat. She avenged the defeat by Unanimous decision win in the rematch against Christy Martin in 2012. Ronda Rousey is regularly headlining PPV events in UFC and currently the holds the UFC Women’s Bantamweight Championship title and currently undefeated after 11 prefessional fights in mixed martial arts. What set her apart from other great female fighters is that she has been headlining UFC PPV events and currently the highest paid female fight in the world. She won Olympic bronze medal in 2008 Beijing olympics in Judo. After becoming first women to sign with UFC, she has already fought some great opponents in Miesha Tate, Cat Zingano and Sara McMann. With a successful UFC career she is already part of several hollywood movies like Fast 7 and The Expendables 3. For some reason people want her to fight undefeated boxer Floyd Mayweather Jr and former women world champion Laila Ali. 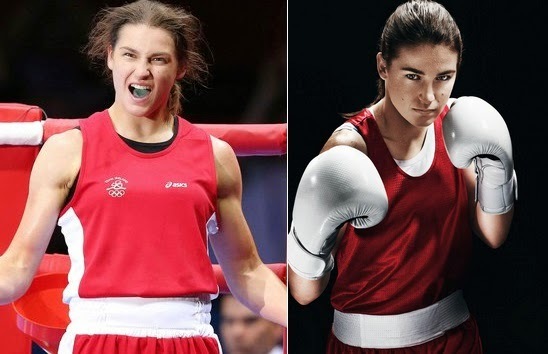 Probably the greatest amature boxing champion from Ireland Katie Taylor and after years of winning medals in world amature championships her high point came in London Olympics in 2012 when she won the gold after beating russian Sofya Ochigav. Outside olympics she still keep winning titles in amature boxing all around the world. Holly Holm hails from United States and she was a former kickboxer and professional Boxer with a record of 38-33-5 before moving to mixed martial arts with UFC. She was decaled women fighter of the year in 2012 by world boxing federation while quite recently she defeated Raquel Pennington in UFC 184 and still on top of her game. Lucia has 56 total wins, 0 losses with 39 KOs. She even fought a man. Please explain htf Ali is better?! What clown wrote this list without putting Nicola Adams in there.